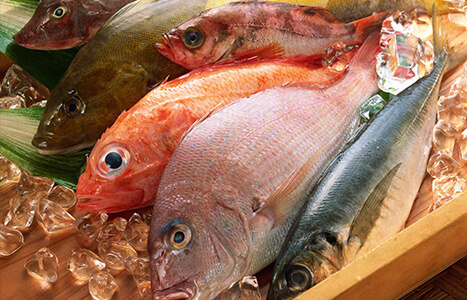 Fish is a great accompaniment to a wide range of fresh seasonal vegetables. Not only is it healthy for you, but fresh fish is delicious. Many people unfortunately get turned off when they unwittingly get a piece of fish that is not fresh, a sad but common mistake that can make you want to avoid eating fish ever again. The best way to enjoy fish is to learn how to choose fresh fish, which should never smell or taste fishy, but should smell like the sea. This video will show you how to choose the freshest pieces of fish as well as how to get it ready for cooking.